A VR game that challenges you to ignore the spectacular promises of Virtual Reality technology by actively avoiding to look at them. 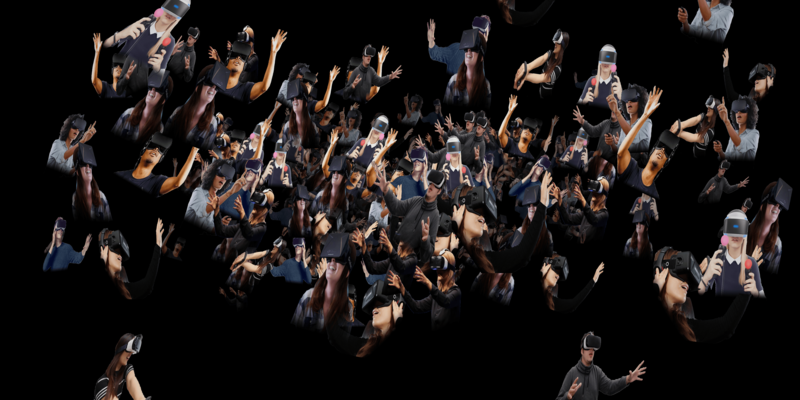 VR device marketing faces a challenge: The experience of an immersive VR world cannot be presented directly, instead, bedazzled human models wearing the devices are placed in fantastical, mostly kitschy surroundings functioning as inadequate placeholders. 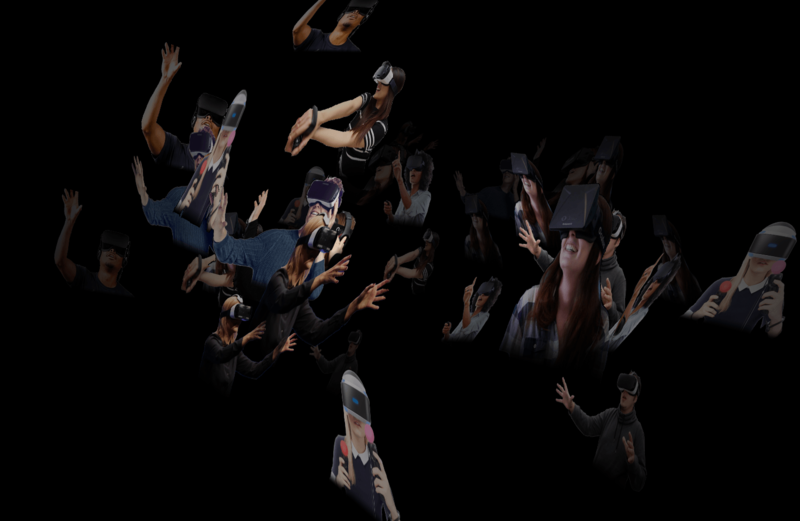 „Ghosts“ is a VR game that plays in a black void. 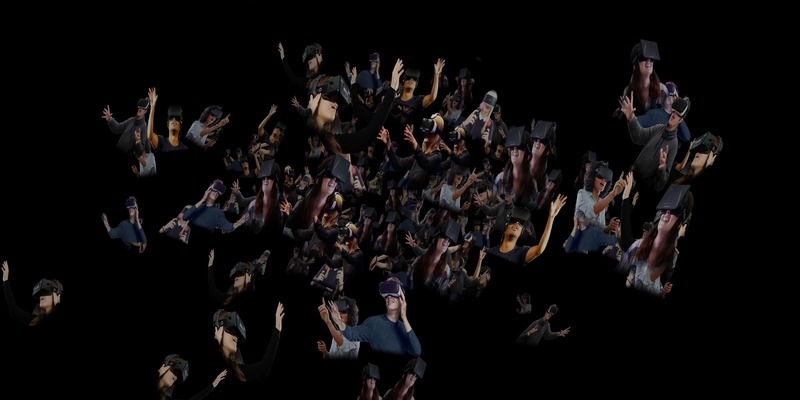 The only visible elements are marketing shots of models wearing VR headsets that are slowly moving towards the player from all directions, and once they reach you, the game is over. Looking at any of the 2D-models speeds up their movement towards you, so to stay in the game, you have to constantly turn your head away from the elements that circle around you. Hands pointing at invisible wonders, mouths opened in amazement, ghosts shuffling towards you in the blackness of non-space, frozen in excitement.